Antipsychotics are a class of psychiatric medications primarily used to manage psychosis symptoms, including delusions, hallucinations, or disordered thought. 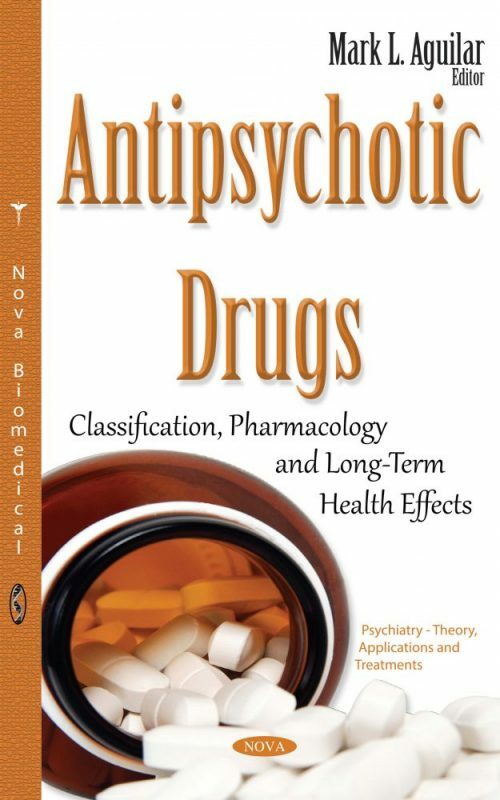 This book discusses the classification, pharmacology and long-term health effects of antipsychotic drugs. Chapter One provides definitions, boundaries, and misconceptions of treatment adherence in psychotic disorders. Chapter Two studies pharmacopore and metabolic disturbances of atypical antipsychotic drugs. Chapter Three reviews recent human and animal studies showing anti-inflammatory effects of existing antipsychotic drugs, emphasizes recent clinical trials with some antiinflammatory drugs including aspirin, celecoxib, minocycline, and N-acetylcysteine (NAC), and offers theoretic explanations for roles of neuroinflammation in schizophrenia. Chapter Four addresses the aetiology, associations and types of sexual problems in patients on long-term antipsychotic medications.